WELCOME BACK TO SCHOOL!! 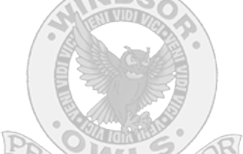 If you are a new student, I want to welcome you to the Windsor C-1 School District! I hope that you all have had a wonderful summer and were able to take some time to relax and enjoy the warm weather! Our Latchkey Assistants, and I are ready for an awesome new school year! If you have any questions and/or comments, please do not hesitate to contact me at 636-464-4406 or hdohack@windsor.k12.mo.us. I am in my office most days between the hours of 8 a.m. – 4 p.m. Our Site Coordinators and Assistants are in the office at 6 a.m. – 8:30 a.m. and from 2:45 p.m. to 6:00 p.m. daily. If by chance I am not available, please feel free to leave a message. I will return your call as soon as possible. We thank you for choosing the Windsor C-1 Latchkey program for your before and after school needs! Our first priority is the safety and well being of our students, and we look forward to partnering with you in making this year a success for us all!